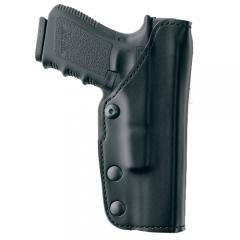 Gould & Goodrich K-Force Double Retention Duty Holster Model K381 FREE SHIPPING! The Quantum HolsteraA Quantum Leap In Holster Technology. Fast, smooth draw. "Anti-Blade" Device. Adjustable Cant. Auto-Pistols only. Fits belts up to 2 1/4. ©2002-2019 CopsPlus.com: Gould & Goodrich K-Force Double Retention Duty Holster Model K381 FREE SHIPPING!